There’s no shortage of famous Indian names in technology — the CEOs of Google, Microsoft and Adobe are all Indian, and Indian CTOs are scattered across Silicon Valley. But there are some Indians who’ve invented tech products that we use every day — and they aren’t nearly as well known as their high-flying CEO counterparts. 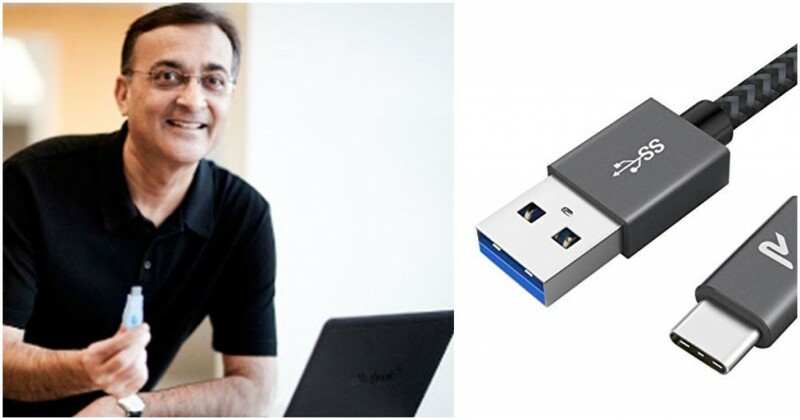 The co-inventor of the USB is Ajay Bhatt, who’d invented it while employed with Intel in 1995. “Anytime (my family) wanted to do something simple like print a letter for my daughter’s school, I would get a phone call from my wife that she just can’t print it,” Bhatt told PC World. “She does something, but nothing happens to the printer.” That’s what drove him to invent the standard that’s now widely used across devices around the world. Bhatt had taken the well-trodden technologists’ route from India to the US. He was born in Baroda in 1957, and after completing his graduation from Maharaja Savajirao University, moved to the City University of New York for his Master’s degree. He joined Intel in 1990 as a senior staff architect. At Intel, he was prolific, and earned himself 132 US and international patents. He was also named an Intel Fellow for his technical leadership and outstanding contributions to the company and the industry. As for the development of USB, his contributions changed how the entire computer hardware industry would evolve. Back in the 90s, computer components used a confusing mishmash of technologies, which meant that different components couldn’t be used across devices made by different companies. Bhatt created a standard which could be used across devices, and he lobbied for its widespread adoption. There was some opposition, particularly from companies like Apple, which wanted to use its own technology called the FireWire. But the USB standard won out, particularly because it put the expensive technology in the computer, and very basic “0.25 cent” chips in the devices, which meant that USB connected devices, such as computer mice and keyboards, could be made very cheaply.